This is a fun record, but it’s hard to say it will leave much of a mark. The double album is the most difficult-to-tame format in music. Since Dylan made Blonde on Blonde and the Beatles made The White Album, artists have tried—with varying success—to capture what those bands did. The double format makes it tempting to pad for length, and even the best of them (looking squarely at you, White Album) could have used a little bit of editing before hitting the shelves. Despite this, they’ve proven a format that invites creativity and experimentation unshackled by traditional expectations for album length. That Oxford mainstays Foals have split their attempt at the double album, Everything Not Saved Will Be Lost, into two separate parts feels like an exercise in restraint. 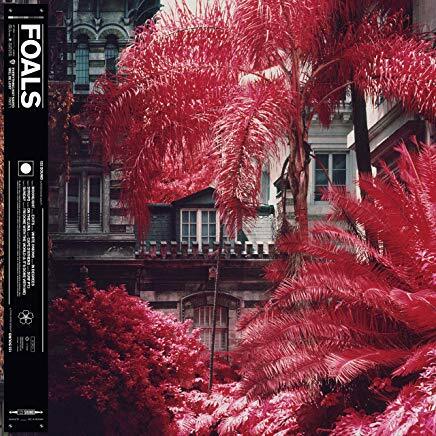 While both halves will be part of the same whole, Foals have put some effort into sequencing the two as distinct pieces, which helps to prevent the first part from feeling incomplete. Your mileage may vary on whether or not they were successful in this, but to their credit, Everything Not Saved does feel like an album that stands up on its own, ultimately making you actually want more. “Moonlight” sets the tone gorgeously, with staccato synths and gentle washes of sound, with frontman Yannis Philippakis’ voice under threat of being washed away. “Exit” tears the rug out from under you, swapping that gentleness with a propulsive beat. By now, we’re reminded that Everything Not Saved is also a concept album, one about, among other things, climate change: “Now the sea eats the sky/ But they say it’s a lie/ There’s no birds left to fly,” sings Philippakis. While the subject material is noble, it’s hard to shake the feeling that climate-aware music is already cliche, and has been since Thom Yorke’s frantic shouts of “ICE AGE COMING/ ICE AGE COMING” on “Idioteque” nearly 20 years ago. And this is where Everything Not Saved finds its greatest weakness. 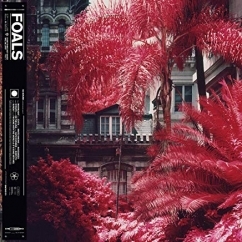 Foals are a lot of fun, sure, but Philippakis’ lyrics are woefully unsubtle, and heavy-handed lines like “Cities burn, we don’t give a damn/ ‘Cause we got all our friends right here” and “Trump clogging up my computer/ I’m worried all day, all day” just aren’t compelling. Elsewhere, on the propulsive “White Onions,” the band finds the intersection between heavy handed and monotonous and its reliance on repetition grows stale (“I break the cage, I break the cage, I break the cage/ Whoa-oh-oh/ I’m in a maze, I’m in a maze, I’m in a maze/ Whoa-oh-oh”). Ultimately, the band succeed in playing it safe, with their typical brand of arena-ready big guitars and synth-driven belters proving to be the most enjoyable. “Exits,” as well as the Cut Copy-esque “In Degrees” and the beefy, but still beautiful, “Sunday” feel like career standouts, destined to get every crowd riled up with ease. There’s but a few moments of real experimentation, but even the most theoretically interesting ones feel like they just got out of hand, like the dispensable “Cafe “D’Athens,” which feels muddled, both a marimba jam session as well as a densely-layered, noise-driven mood piece, but it fails to commit to either, and thus fails to ever become a compelling song. Everything Not Saved is a fun record, but it’s hard to say if it will leave the mark that their ambitions lead us to believe they want it to. It grows on you with repeat listens, with even songs like “Cafe D’Athens” and “White Onions” revealing their charm amid their messiness. This only carries the album so far, though, and few songs feel capable of actual staying power. Even though Part 1 is able to stand up on its own surprisingly well, there’s a frustration in the fact that we’re only getting part of the picture. We can only hope it’s sequel, Part 2—due out in September—doesn’t collapse under the weight of its own ambitions.